Either my mind is retroactively making up a nice story or I really have had a rockhounding “Spidey sense” before a good find. 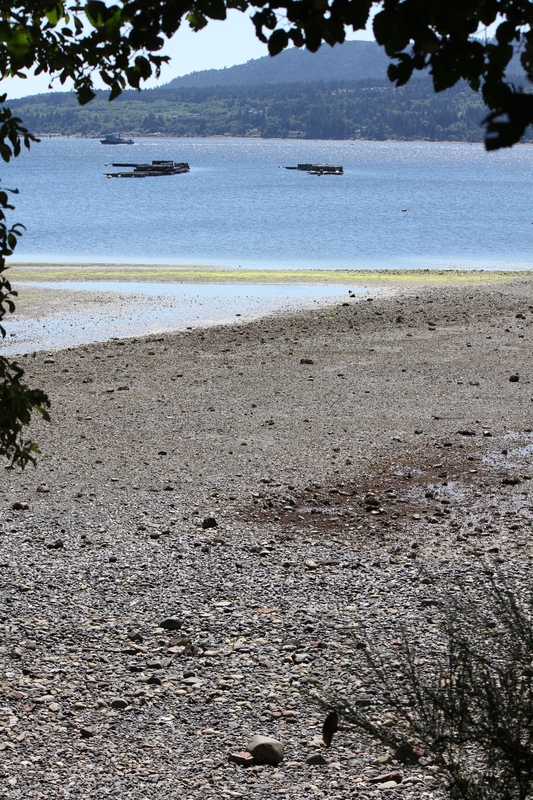 My favourite Vancouver Island beach for rockhounding. From this view, something tells me special presents are waiting for me down there. My sense especially comes into play looking for Flowerstone. I get an increasingly strong feeling sometimes that I am heading in the right direction, like a “warmer or colder” sense. A few times, the Spidey sense has been buzzing off the scale and then I’ve made a great find. 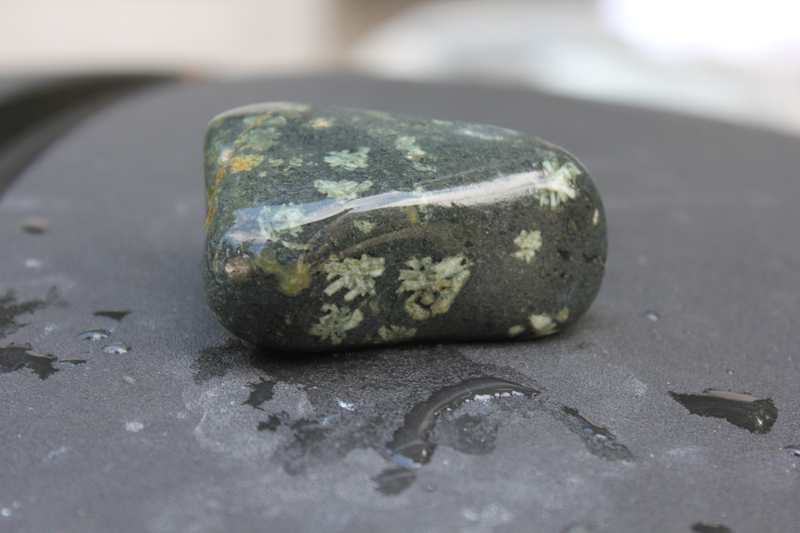 This Flowerstone has gone through one coarse grind in my tumbler. Sometimes I just “know” when one’s lurking in the pebbles around me. Maybe it’s just that I’m using my good sense to know where Flowerstone might be, but there seems to even bea subconscious draw to it. I like this Dallasite jasper – that’s the kind of piece that calls to you. I completely agree with you. 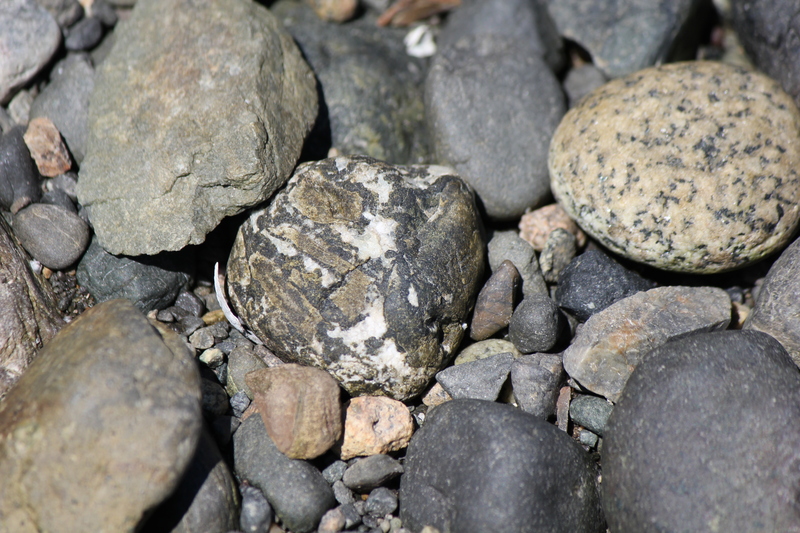 Unless there is a severe abundance of Agates and Jasper and such, I don’t see how I can stop at a seemingly random place along the beach, kick a few rocks aside and find exactly what I was looking for. Thank you. I’ve found it worth looking everywhere. Rocks are a dangerous addiction. I can spend an hour at any crappy old spot just digging around in hopes!